As the temperature plummets, the price of fresh produce usually goes up. If you’re looking to up your fruit game this winter, try heading over to the freezer section of the grocery store and picking up a bag of frozen fruit. Since frozen fruit is picked at peak ripeness, it offers an affordable alternative to fresh, without compromising on nutrition. 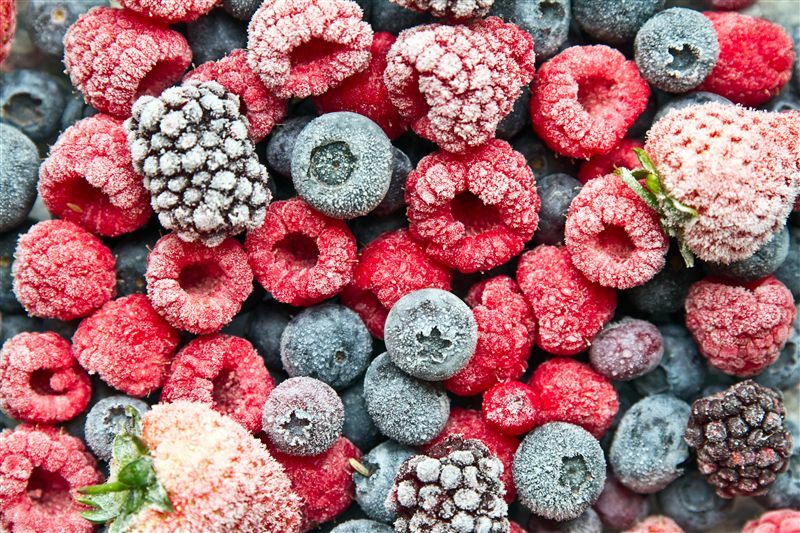 If you’re not sure where to start with frozen fruit, try tossing some in to your next smoothie or adding berries to whole grain muffins, buckwheat pancakes, and other baked goods. You can also use frozen berries to make a warm fruit compote - in a large pot over medium heat, stir 3 cups of frozen berries with 2 Tbsp of maple syrup and 2 Tbsp of chia seeds. Simmer for 10-15 minutes until thickened, and finish by adding a splash of pure vanilla extract. Use the compote to top oatmeal, as a spread on toast, or mix into your favourite yogurt.